Slacker-inducing, obesity-generating, mind-numbing….we have heard it all before and pretty much accept this as fact. Like all things taken to the extreme, the effects of too much too often are likely damaging. But there is another side to computer gaming: a surprising “upside.” While concerns about violent games persist, researchers have discovered that gaming can boost cognitive function and foster positive behavior. It can also ease depression. It can teach, enlighten, and heal injuries. It can build team player and decision-making skills. Computer gaming is not all bad. 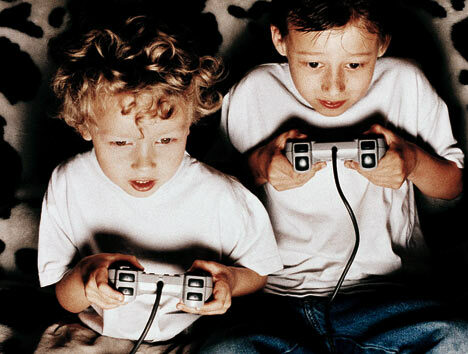 Most video games involve a number of mental tasks, and playing can boost any one of them. The fast pace can increase visual acuity, spatial perception, hand-eye coordination, and sharp observation skills. Complex strategy-based games can improve working memory and reasoning. One particular study involved a woman who suffered from depression and post traumatic stress. Unable to sleep at night, she started playing the popular PopCap game “Bedazzled,” and found that the distraction was pleasurable and soothing. Researchers have determined that the focused distraction of games can place people and children with physical or mental pain in a different mental zone, relieving them of their discomfort as they undergo treatment. The interactivity of computer gaming also provides a stimulating platform for learning. Integrating “play” into learning how to keyboard, for example, makes the tedium of learning to type more rewarding and interesting. Incorporating geography and real history into gaming strategies can be a creative approach to teaching. Senior citizens who express interest in learning about computers easily adapt to the maneuverability of the mouse while playing computer Solitaire. When we read books or work crossword puzzles or Sudoku games, we are rarely frowned upon as mindless time-wasters. Why are many video games viewed so harshly? Violent games are concerning, but evidence isn’t clear that they promote aggression. Aggression could stem from seeing violence on TV or in the home. And violent games can provide an avenue of venting in a fantasy world in lieu of acting out in reality. Ultimately, computer gaming feeds a lot of human needs, and many of them are positive. Strike a balance, enhance the mind, and enjoy yourself. HAAAAA – hand eye coordination; could catching a ball be compared to pressing ‘A’ to catch a ball? Interesting piece, I’m just not too sure the argument is worth substantiating.